Diesel engines require the extraordinary skills of our diesel mechanics! When you’re on the hunt for a good mechanic for your car, you have many different options. Some of the repairs you can even do yourself! However, when you’re searching for a good diesel mechanic, your options for these highly skilled laborers is much narrower. 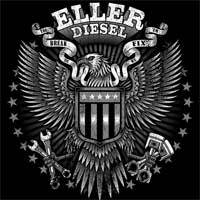 Here at Eller Diesel Truck & Trailer Repair, we are available to be your skilled diesel mechanics for all your diesel needs in the Salisbury, North Carolina area. At Eller Diesel Truck & Trailer Repair, you can feel confident about bringing any type of diesel engine to us to be serviced, maintained, and repaired. Whether you have a semi-truck, bus, RV or other type of diesel vehicle, we have the skills and experience to be able to help you. Because we have been in the diesel mechanic business since 1991, you can know that when you bring your vehicle to us, we can quickly diagnose and repair any problems you might be having. Not only are our repair skills as diesel mechanics hard to beat, but we also strongly encourage our local customers to come in for regular maintenance checks. With diesel engines, you’re dealing with a powerful piece of machinery. In order to keep this complex engine working smoothly, regular maintenance is a must for keeping your engine working well and preventing expensive repairs. If you are in the Salisbury area looking for a great diesel mechanic to take care of your truck, RV or other diesel engine, we would love to help you! Give us a call today for more information about our services.